Heard on KGO Ronn Owens show this morning! This app promises to help you reset your habits and transform your life with evidence-based coaching in just 19 days. 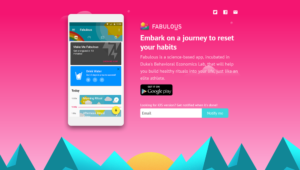 Fabulous is a science-based app, incubated in Duke’s Behavioral Economics Lab, that will help you build healthy rituals into your life, just like an elite athlete. Fabulous can help with things like: increased energy levels, more focused, weight loss, better sleep, and building healthy habits and routines in your life. I like that it combines a lot of other apps into one: Take your fitness and diet to a new level by using our integrated coaching feature: 7-minute scientific workouts, Zen and Vipassana meditation for breathing & mindfulness, a happiness trainer, power nap sessions, and a beginner’s yoga pack for total flexibility. iOS and Android – costs $9.99 a month – less if you pay for the entire year at once. If you’re looking for a customizable, well rounded, safe and truly free seven-minute workout app, you can download this one and get to work right this second. It features 12 different 30-second exercises, with five seconds of rest in between. It’s great for beginners and athletes, syncs with your iPhone Health App to take your other daily movement into account, and the workout library has 22 presets that you can customize to create thousands of variations. You can swipe right or left during the exercises to see how much time you have left, watch the instructor, or listen to music from your iTunes. Chris Jordan, Director of exercise physiology at the Johnson & Johnson Human Performance Institute, demonstrates all 72 of the exercises, talks you through proper form, and gives you encouragement along the way. The Smart Workout feature gauges your fitness and motivation level and recommends different workouts along with intensity increases—so you can’t slack off. Easily my favorite. 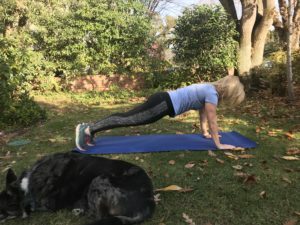 EXERCISE & EATING BETTER TOO! There are countless fitness and diet apps. (I LOVE LOSEIT!) But if you’re looking for a new one, 8fit is worth checking out. Whether you want to “lose fat” or “gain muscle mass,” 8fit lets you track specific fitness goals. There are workout videos for yoga and Tabata. It’s soon adding videos to target your core and arms. You can also log exercises and sync steps with Apple Health. 8fit additionally has a diet section, for monitoring what you eat. Whether you’re vegetarian or looking to avoid carbs, there are plenty of options suitable for various diets. 8fit will help you build a customized meal plan, complete with recipes. The basic app is free and available on both iOS and Android. The cost is $5 per month for 8fit Pro, which gives you more options. YNAB stands for “you need a budget,” and promises to help you break the paycheck to paycheck cycle, get out of debt, and save more money. On average, the company says new users save $600 in the first two months, and more than $6,000 in the first year. Key Features include: Bank Synching—Easily connect all your accounts in one place.On the Go— Realtime access to all your data makes it simple to share finances with a partner. Debt Paydown—The tools and teaching you need to help you get out of debt for good. 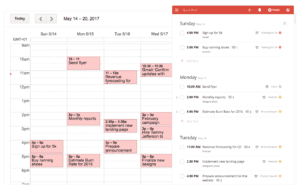 Goal Tracking—Set and track goals to reach them faster. 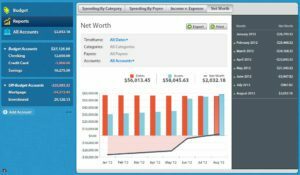 Reporting—Detailed, visual spending and trend reports help you measure progress and improve. Personal Support—Our friendly support team is available around the clock via email, live chat in the app, and offer 100+ free, live workshops every week. Android and iOS. You can try it free for 30 days. After that, it’s around $84 a year. Ever catch yourself forgetting life’s moments? Imagine a movie that includes every day of the rest of your life. 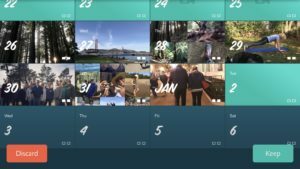 Let 1 Second Everyday help you remember your journey and create the story of your life.